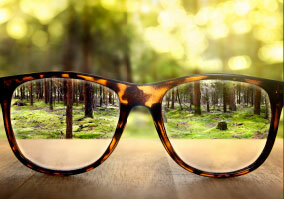 Oxford Opticians is an independent eyeglass boutique within the Oxford Community. 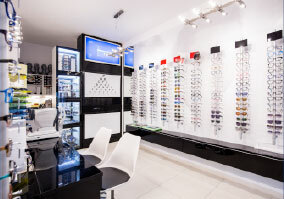 It is owned and operated by Tom Hicks, a licensed optician. For 30 years, people have come to Oxford Opticians for the newest frame styles, classic favorites, contact lenses, honest pricing and opinions, and even for advice. Tom Hicks has an active part in the Oxford Community as well as the national optical community. Mr. Hicks has received numerous awards from the Opticians Association of America such as the Optician of the Year and State Leader of the Year awards. He has served as the president of the Opticians Association of Ohio, the president of the Opticians Association of America, and as chairman of the American Board of Opticianry. He currently serves on the American National Standards Institute board and also travels around the country accrediting college programs for the Commission on Optical Accreditation. He has served on the board of the Oxford Chamber of Commerce and is currently a member of the Oxford Rotary Club where he serves on the Heffner Board.